Last week saw plenty of fresh arrivals in the channel with the common theme behind the appointments being an ambition to unlock growth. More revenue, in some cases additional partners and plenty of work to be done with the channel is the theme of the moment. The firm has appointed Karen Falcone as the principal director of Europe channel sales and programmes. Her CV includes plenty of channel experience, including a stint in the past at Dimension Data. Her task for the next year will be to raise awareness in the EMEA channel community and to expand the number of partners. Keith Tilley, evp & vice-chair, Sungard Availability Services, said that she had the track record in building channel programmes. “She has the acumen, expertise and ongoing dedication to the IT channel that Sungard AS and our partners require at this latest phase in our European development." 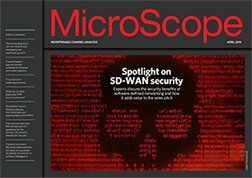 The security firm has made a double appointment to drive growth with John Negron, most recently vice president of global security sales at Cisco, and Jennifer Johnson, former chief marketing officer at Tanium, joining as the company’s first chief revenue officer and chief marketing officer, respectively. Amit Yoran, CEO, Tenable, said that the two additions to the executive team would make, "a strong team even stronger". Former Dell EMEA director of big data and analytics solutions Sebastian Darrington has joined the in-memory analytic database player as managing director of UK&I. “EXASOL has already built an impressive customer base and is already challenging the market leaders of OLAP database solutions," he said. The cloud player has handed Daniel Österbergh the chance to make an impact as vice president channel and alliances for EMEA. His plans include recruiting some more partners and rolling out a new go-to-market strategy for the commercial space. "Forming mutually-beneficial partnerships is key to our go-to-market strategy, empowering our partners to initiate new business conversations, inform customers’ digital transformation strategies, and target untapped markets beyond IT service management," he said.